Home > How can you measure the value of a webpage? > How is Google PageRank different from MozTrust? How is Google PageRank different from MozTrust? MozTrust and Google PageRank are very similar to each other and both are measured in domain level as well as webpage wise with a 0 to 10 exponential system. But, Google PageRank is calculated using taking into account the citations, damping factor and links which are going out. 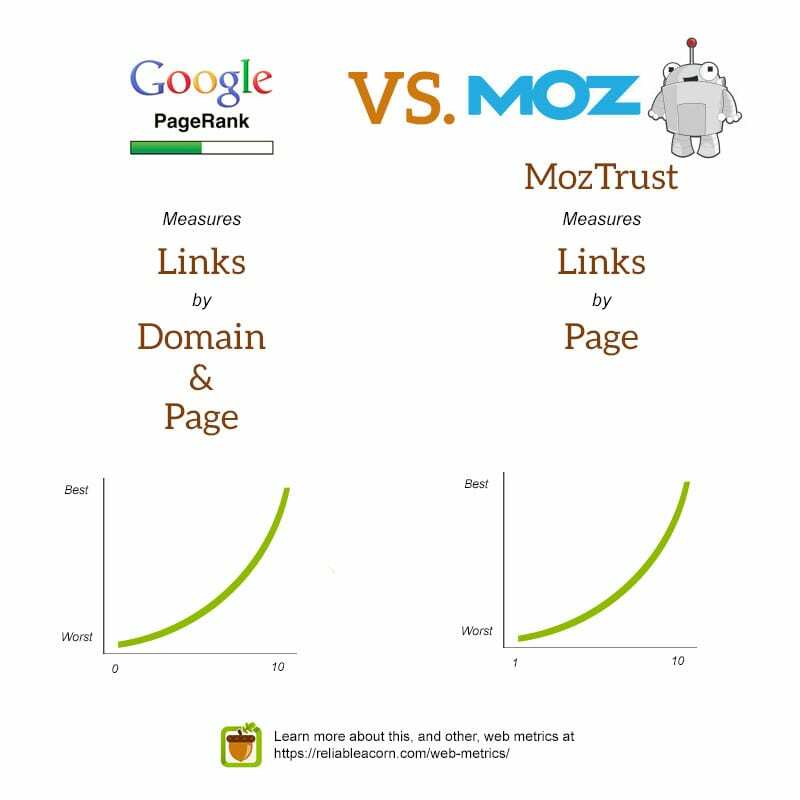 MozTrust is calculated using the quality of the back links measured according to distance from trusted websites.